How to watch Guardians of the Galaxy (2014) on Netflix Singapore! Sorry, Guardians of the Galaxy is not available on Singaporean Netflix, but you can unlock it right now in Singapore and start watching! With a few simple steps you can change your Netflix region to a country like Hong Kong and start watching Hong Kongese Netflix, which includes Guardians of the Galaxy. We'll keep checking Netflix Singapore for Guardians of the Galaxy, and this page will be updated with any changes. Guardians of the Galaxy is not available in Singapore BUT it can be unlocked and viewed! 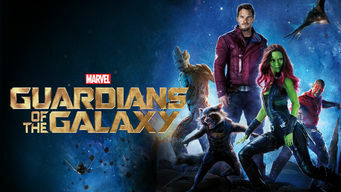 On the run from intergalactic warlord Ronan, hotshot space pilot Peter Quill unites a ragtag band of oddballs to form a team of unlikely heroes. Earth's heroes are mighty. The galaxy's heroes are a tree, a raccoon and a wise guy with a '70s mixtape. There is a way to watch Guardians of the Galaxy in Singapore, even though it isn't currently available on Netflix locally. What you need is a system that lets you change your Netflix country. With a few simple steps you can be watching Guardians of the Galaxy and thousands of other titles! Watch "Guardians of the Galaxy"